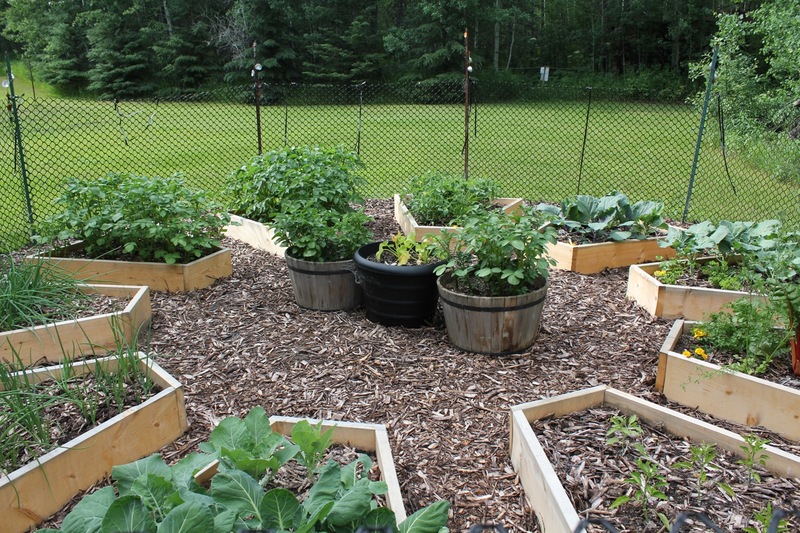 I must apologize for the long delay in getting this post up, especially to the four readers who wrote in early spring asking for more details on building the raised beds in the Medicine Wheel garden. My eleven-month old son is finally taking longer naps -and I am also now able to stay up past his bedtime- so I can now get back to one of my favorite things: blogging and sharing my life with each of you. 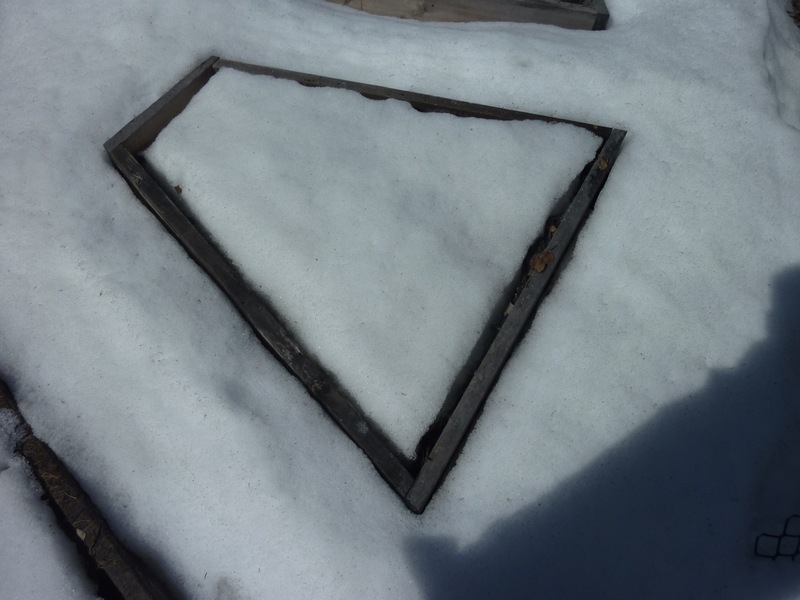 In this post, I will go into more detail on how we got the dimensions for the raised bed boxes for those who are interested in building their own. Click here if you need to refresh your memory on the previous post that we did two summers ago on building the raised beds. 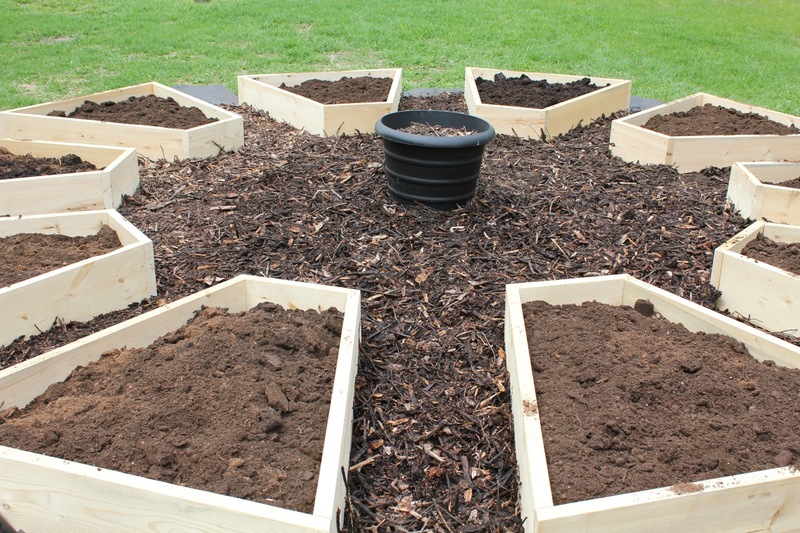 If you would like your raised bed circle to be smaller or larger you can use what we did here as a guide and plug in your own measurements. On the other hand, if my dimensions suit you just fine, then skip to the end where I will just give you the basic details in a nutshell. 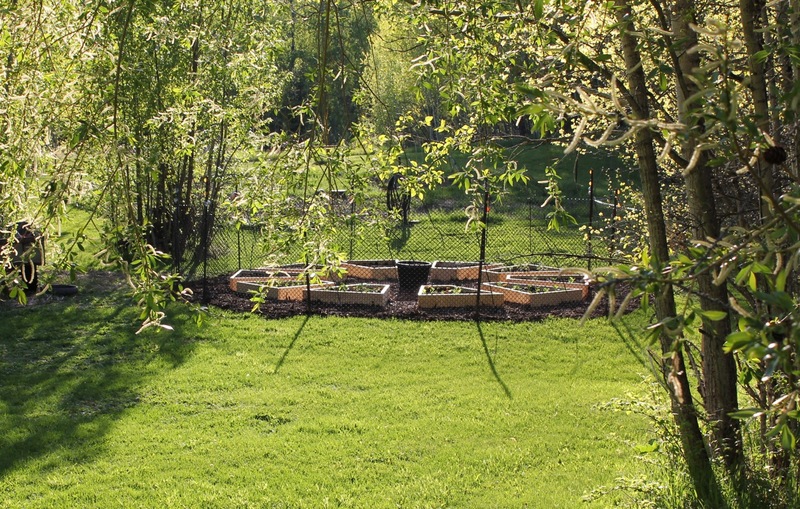 Please note that later this summer (or early next spring), we plan to build the second row in the Medicine Wheel garden so this is a work in progress! The next boxes will be a bit shorter and wider and we will be sure to include the dimensions for that when we do it. There was a bit of math involved in getting the dimensions for the layout of the beds. I started with some rough sketches of what I envisioned. As you can see, it looks like a pie. All I needed to do was figure out how large of a pie it should be, how much space I wanted in the center, and decide how wide I wanted the walkways to be in between each bed. I started from the center and decided that I wanted a 10 foot diameter for the center circle. From there I knew I wanted the row of beds to be 4 feet long. I also knew that I wanted the walkways to be about a foot and a half wide, or 18 inches. 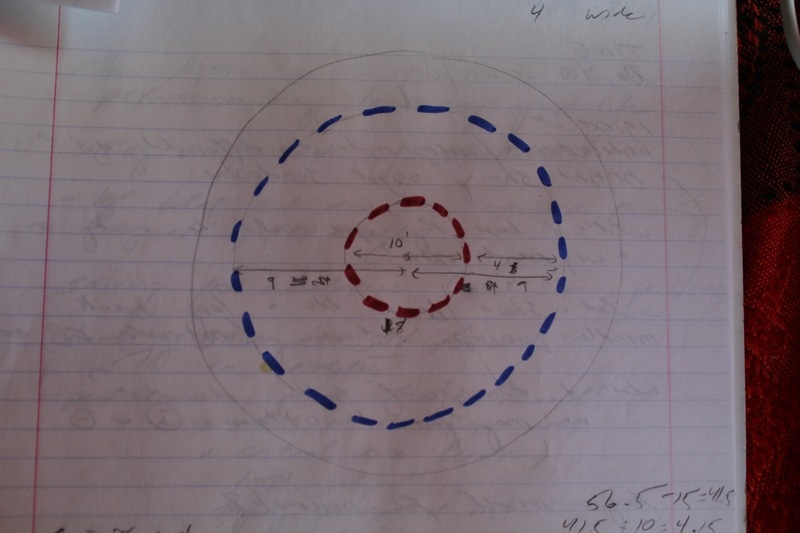 To get the dimensions for the beds, I calculated the circumference of both the center circle and the outer circle. The inner circle gives me the length of wood to cut for the narrow end. I simply subtracted the total amount of space needed for the walkways between each bed and divided what was left by the number of beds I wanted to have. Cutting the ends on an angle gives the boxes a finished look with no gaps in the corners. 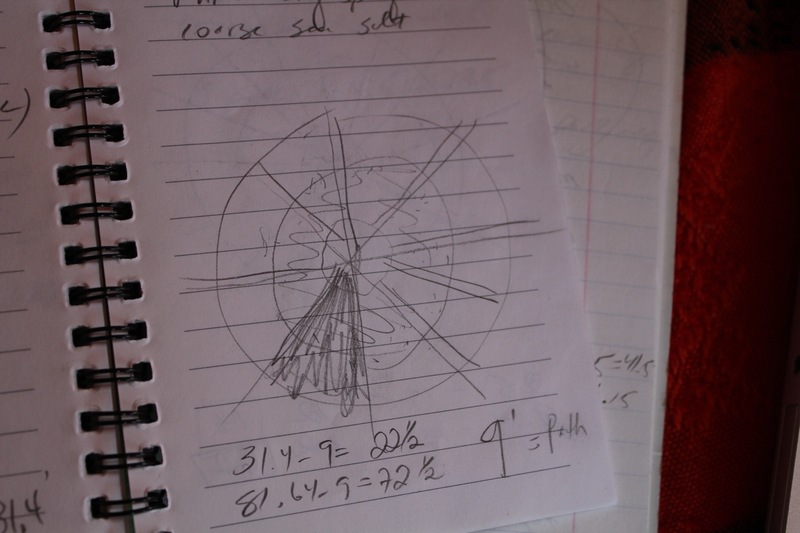 Brian is an engineer and did some quick calculations to get the angle: 36 degrees. You could also just use a sliding bevel. Lay your pieces out and use the sliding bevel to record the angle. Then take the sliding bevel to your miter saw and adjust the tilt of your blade to match the angle. Click here to see what a sliding bevel is and how to use one. The magical thing is that all of your cuts will be at the same angle so you only need to adjust your miter saw once. See the picture below: the narrow and wider ends are the longer pieces and the side pieces fit inside. This is the tricky part where you really don’t want to be in a rush: make sure you are cutting you angle in the right direction. I made quite a few mistakes before Brian came and took over so my boxes are actually a bit shorter than planned! It’s worked out all right in the end because we just made sure all of the boxes were the same size. Once the pieces were cut, Brian screwed them together with deck screws. Then using the 10 feet center circle as our guide, we arranged the boxes in a circle, making sure that we had about 1-1/2 feet between each box for the walkways. This was not exact but once everything was in place it all looked beautiful. Arrange a box on the ground and use a sliding bevel to record your angle for cutting the ends. Transfer this angle to your miter saw and cut your ends so that they will fit nicely together. In the center point of your garden space, measure a small circle with a ten-foot diameter. Place your boxes around this circle with a 1-1/2 foot space in between. I hope this helps! I would love to hear how your own raised beds turn out! I love your medicine wheel design and I’d like to copyi it. Thanks so much for showing all the math step-by-step! What did you use to secure the corners? A carpenter told me that the weight of the soil would put too much pressure on the joints, so he declined the job-wanted to build rectangular beds with square posts inside each corner bolted together instead. How are the joints holding up over time? Also, how has the spruce held up? I’ve had 1 red cedar raised bed for @ 7 years and it still has no rot. Spruce would save a lot of $, but I would not want to rebuild these in just a few years. Cedar is also tougher to saw through, so the carpenter was concerned about doing that 36 degree angle in cedar. I’d love to hear your thoughts, if you have the time. Have you made the second layer?